GNUMail is a fully featured mail application running on Linux (or FreeBSD, OpenBSD, etc) and Apple Mac OS X. It uses the GNUstep development framework or Apple Cocoa, which is based on the OpenStep specification provided by NeXT, Inc.. GNUMail is licensed under the GPL, and the full sources of the application are available. 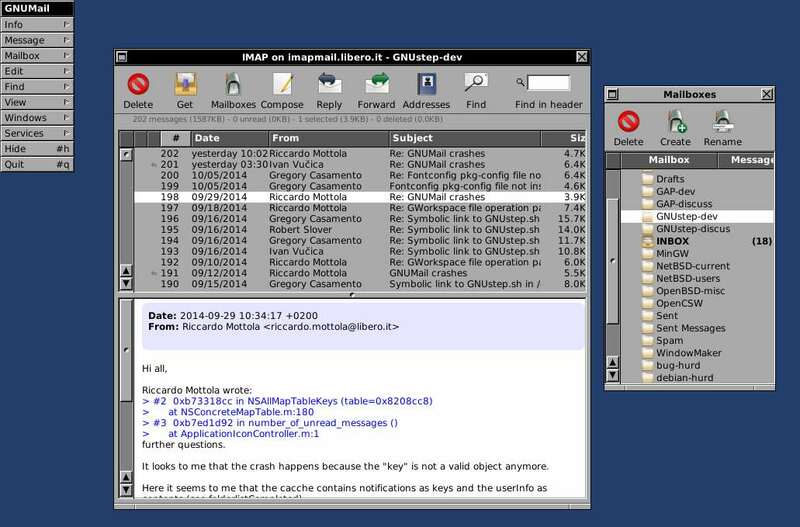 GNUMail was written from scratch. It uses Pantomime as its mail handling framework.